Hi! How are you?! Where the heck have you been?!! I have been looking for you everywhere. I know, I know… I said I was going to be posting *regularly*…but in my defense, there are just too many things happening around here that are keeping me from sitting down to this medium. Bob the loom is naked. It is time to plan the next project now that my table runner is complete although it will be heading to the Northern Homestead as the kitchen table there is a varathaned white pine and much better suited to the bright colours than the walnut dining table here. I also have a B-I-G sewing project to start. We have a very large, square patio umbrella over our hot tub that is in desperate need of replacement. Since I can sew and am very thrifty (cheap), why pay $500-800 for a new umbrella to be made when I can make it myself? 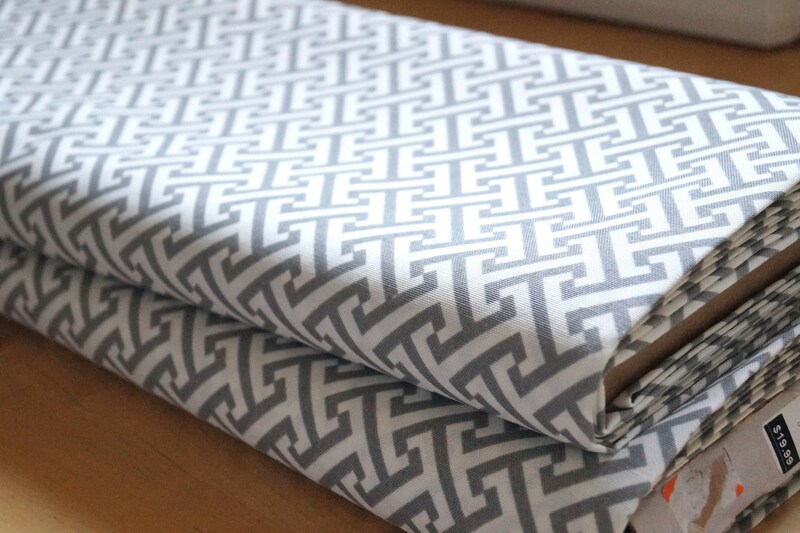 Here is the chosen fabric, a grey and white checkerplate pattern…all 12 yards of it, and picked up on sale to boot. 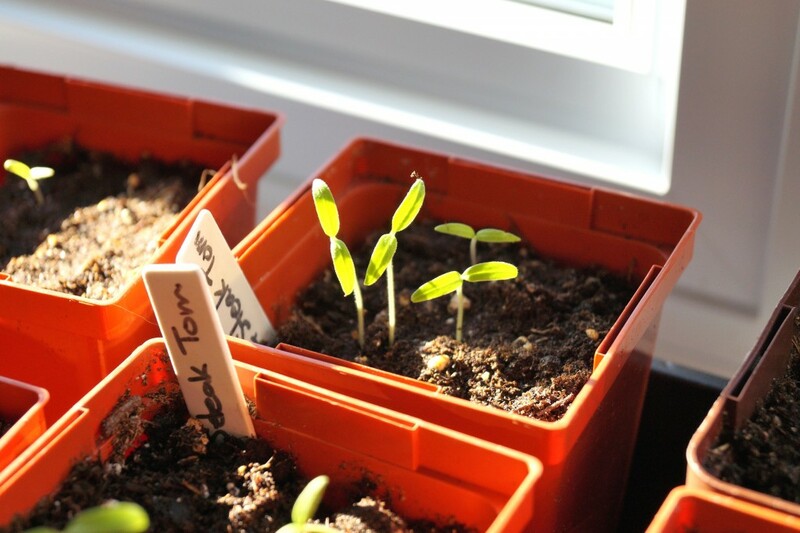 Now that Spring is here (sort of), my little plant pots are filled with dirt, seeds and love that are now showing little green sprouts of sunshine with the promise for a great harvest to come. 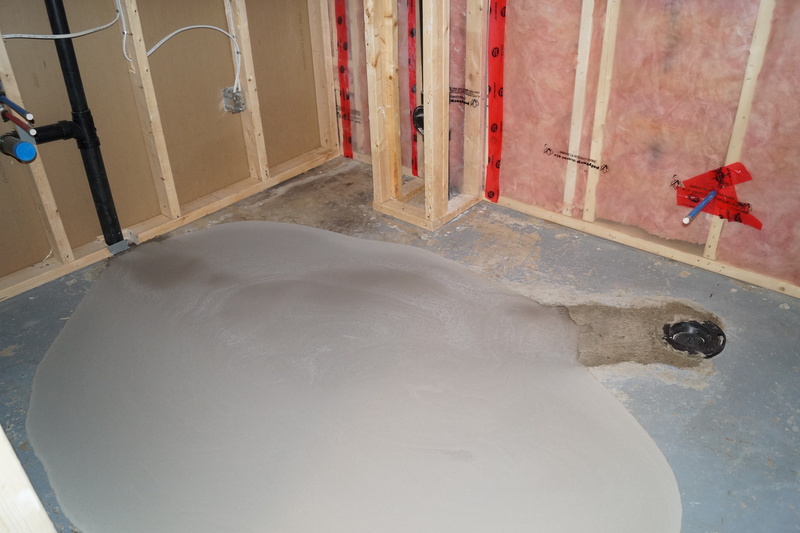 But the most challenging and time-consuming project has been the basement bathroom addition…. The PITA part of busting the concrete floor for hooking up new piping is done and hubby cemented over the hole, then applied a layer of self-leveling cement, which he will probably need to do again before we start tiling. 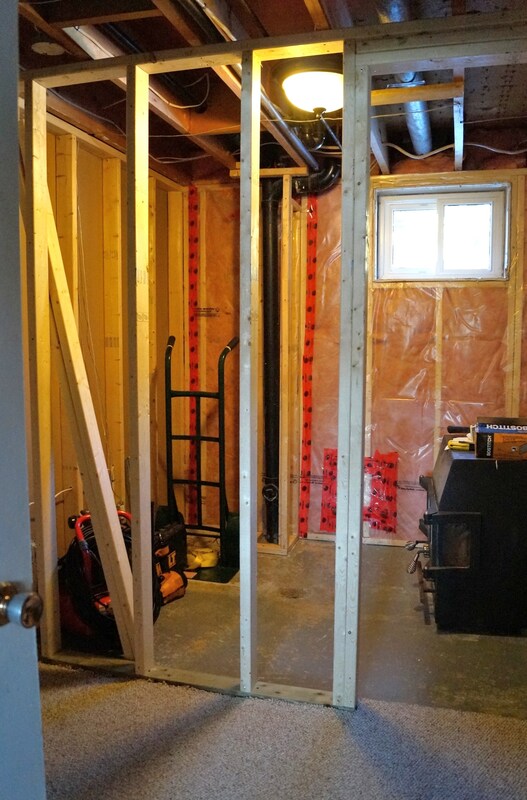 Meanwhile, the back wall is re-vapour barriered and ready for inspection by the City and he managed to drywall the outside of the bathroom wall amongst a bunch of little electrical projects that needed doing. He was so very busy this weekend and is sore to boot. Poor guy had to head back to work today for a rest from all the manual labour. I best take it easy on him if I want the project finished. 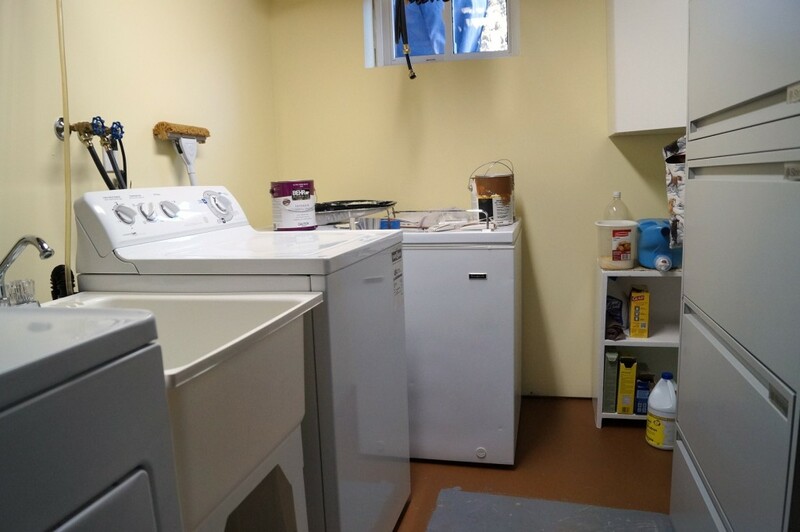 While he was busy playing with concrete and drywall, I was playing with paint (and managed to sell a property in between) in the laundry room. The walls are a pale, butter yellow and the floor is a rustic brown shade, which still needs to be finished and will get done this week. The walls have been primer white for the last 8 years, I figured it was about time I got around to applying some actual paint. I still need to get back to the de-cluttering (mostly my closet!) 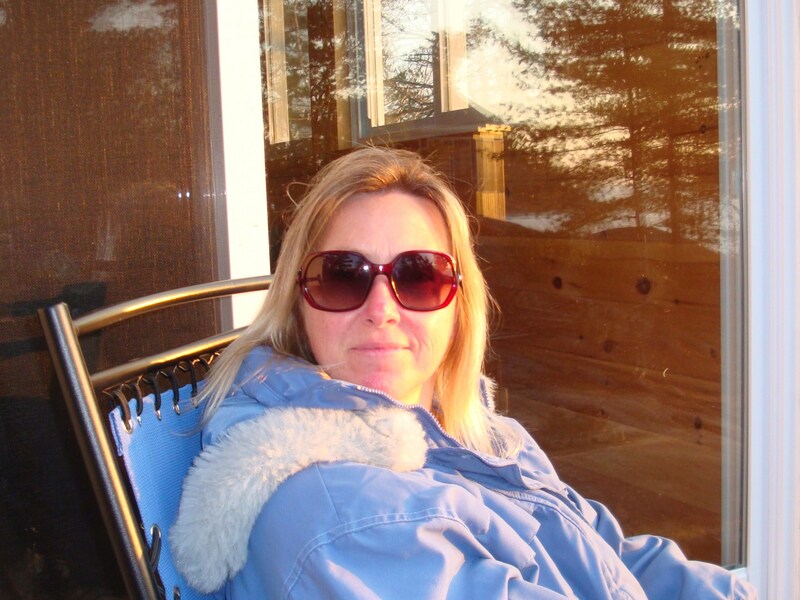 and with the warm weather finally here, I am rushing to get inside projects done as I have a few outdoor ones to tackle. Life is always busy, so make sure you take the time to stop and smell the roses so to speak…or have a beer on the patio in the sun. I tried something new in the way of food. I am usually pretty good in the food department. Comes from loving to eat I guess, but there are some things in this world that I had not tried yet and Kale was one of them. I discarded it as a ‘healthy-therefore-it-must-taste-awful’ vegetable. But I admit when I am wrong and today is one of those days. Kale isn’t just a healthy vegetable – it is a Super-Duper Healthy Vegetable that has the power to lower cholesterol better than Doctor prescribed medicines (if you want, you can read more of the benefits here) and has a very low GI index which is a boon for diabetics. So I decided yesterday to buy some Kale and give it a whirl. Since I had no idea how to cook/prepare it, I googled Kale recipes and found a basic recipe to test drive with some quinoa (another Super Food!). I must say, I was impressed with the taste as initially, it doesn’t look like something you would want to eat…..like eating the leaves off the outside of a cauliflower plant, only with curly fringes. But the taste is similar to broccoli, mild and depending on when it is picked, can be bitter (early in the season) or sweet (allowed to stay in the ground well after frost hits). But the salad I made turned out fantastic, of course, it contained avocados (another super food) and if you put avocados in or on anything, it will taste even better. So now I am a Kale fan and will hunt down other recipes as well as do some experiments of my own. Perhaps I will have to be brave with other food types that I currently shun i.e. oysters, mussels – uh, nope, forget those. You can wrap those things up in chocolate and I still wouldn’t eat them. I will stick to weird looking fruit and veggies…like Dragon Fruit, I have always loved the look of Dragon Fruit. Oh…You want the recipe for the above yummy looking salad? Keep scrolling down…. 1. 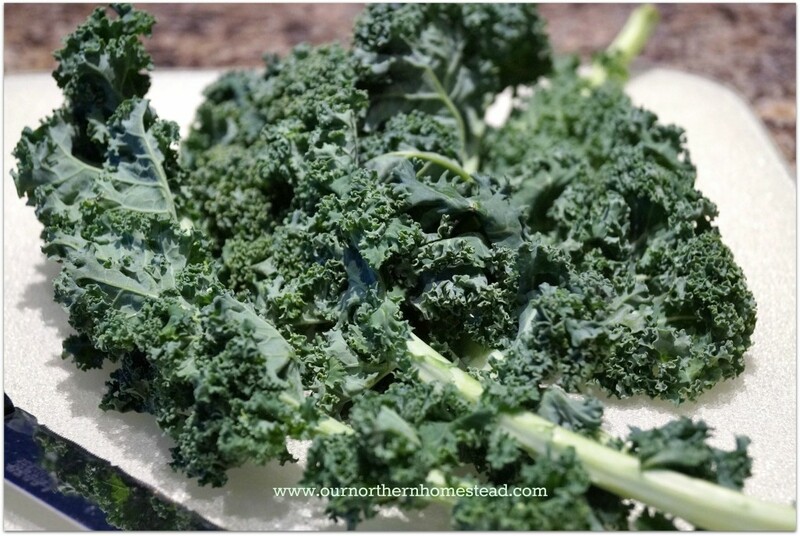 Steam kale for 3 minutes on high in a microwave safe bowl with 1/2 cup water; remove, drain and divide Kale evenly among two plates. 2. 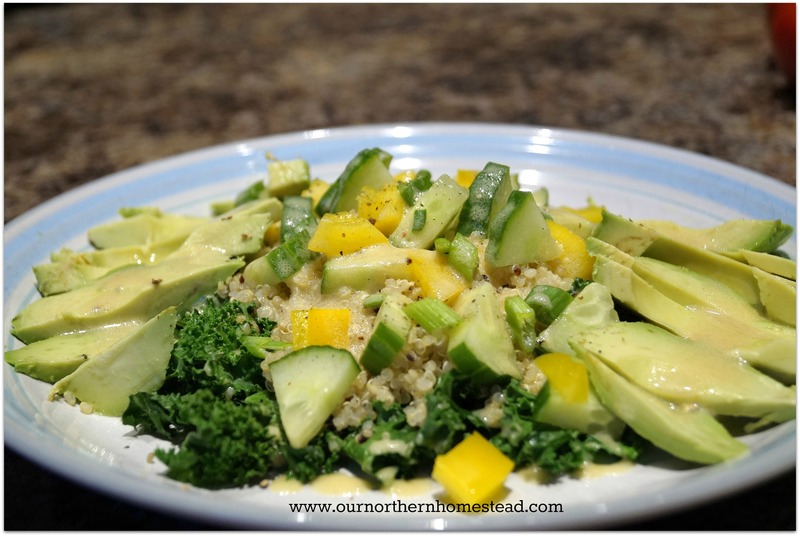 Divide cooked Quinoa in half and place on top of the Kale, top with remaining veggies. Add avocado slices sprinkled with additional lemon juice to keep from browning. 3. 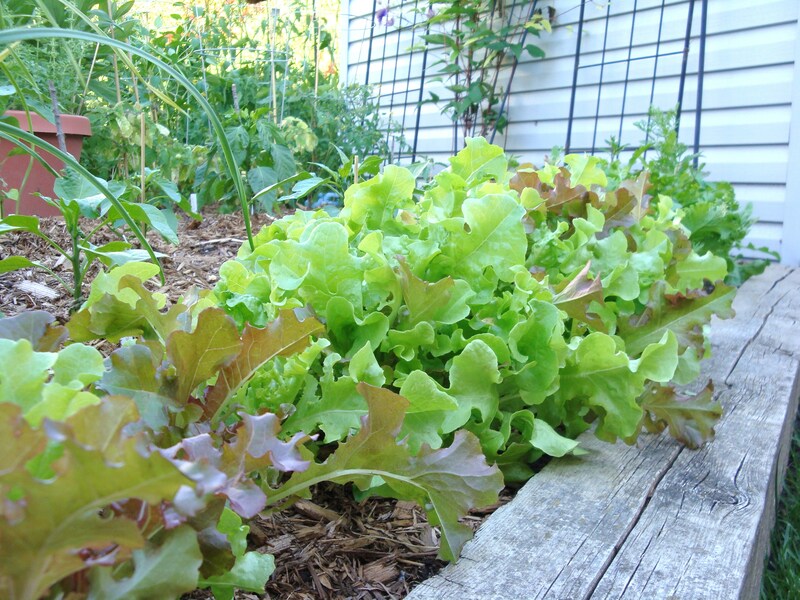 In a small bowl, whisk oil, dijon mustard and lemon juice, add salt and pepper to taste and pour over the salad. Is finally, thankfully here. The sun is up, the sky is clear, but as I stick my nose out the door to check the air, it breaks the magical Spring spell that make up my thoughts. The lengthy, cold winter just doesn’t seem to want to go away, regardless of the date on the calendar. The weather forecast is for another storm tonight, bringing rain, freezing rain and snow as the temperatures drop overnight. I really didn’t need to hear that this morning. As I sit with my tea looking out the front window, I surveyed the mess of our front yard. This winter has been hard on our 50′ blue spruce. There are large and small branches littering the ground with pine cones strewn about like confetti amongst the remaining snow piles. It bugs me to no end seeing the lawn like that. I like a nice, neat, orderly space (both inside and out) and not being able to tidy up the front yard until the weather warms and the snow is gone is driving me bonkers. So I will turn my attention to the inside. This weekend will see a warm, happy Spring chore being accomplished. It is time to haul out all my little plant pots and big bag of seed potting mix and get to work planting seeds for my summer bounty. Tomatoes, peppers, lettuces, herbs, chives and green onions will add to the Cilantro and Basil that have already sprouted in the living room window. If you can’t force Spring on the outside, you can at least bring it inside. I had a craving the other day. A chocolate craving. I didn’t feel like raiding the bag of mini chipits in the fridge, so I went hunting on-line for something chocolatey and gooey that I could make from said mini chipits. That was when I stumbled on this thing called Cake in a Mug. Really? Cake in a Mug? Ready to eat in under 2 minutes? There are actually plenty of recipes to choose from and I am beside myself that I haven’t found this type of crazy dessert sooner. 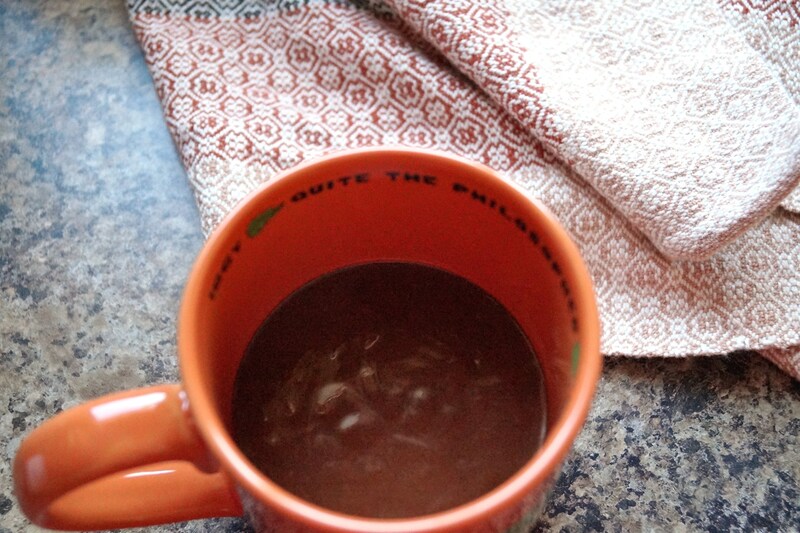 So I reviewed a few and decided what would work for me out of the many recipes I looked at and combined it into one gigantic Rain Forest Mug of Chocolate Cake. The key here is to use the largest coffee mug you own. I have a couple mugs from The Rain Forest Cafe and they hold double what a regular coffee mug does. Perfect size. 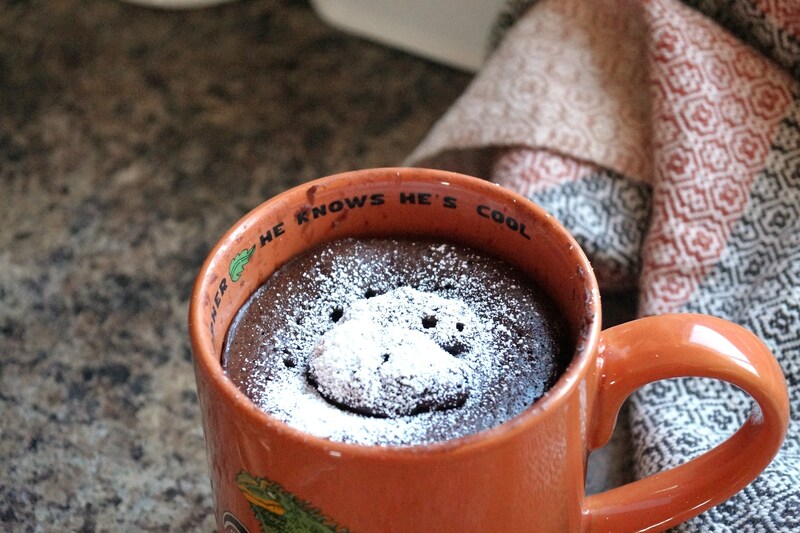 So without further ado, here is how to make your own cake in a mug for when that craving hits you. In a mixing bowl, whisk together milk, egg, oil and vanilla; add flour, sugar, cocoa, salt and baking powder and whisk briskly to combine. 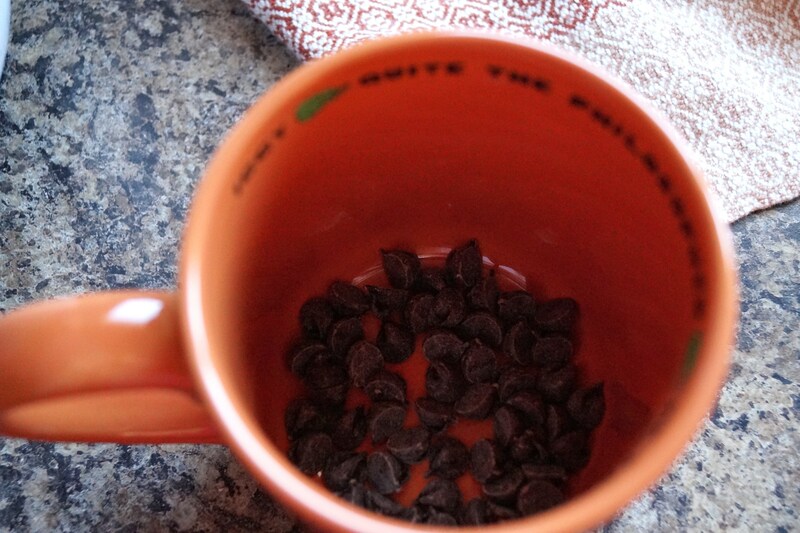 Place the chocolate chips in the bottom of the mug. 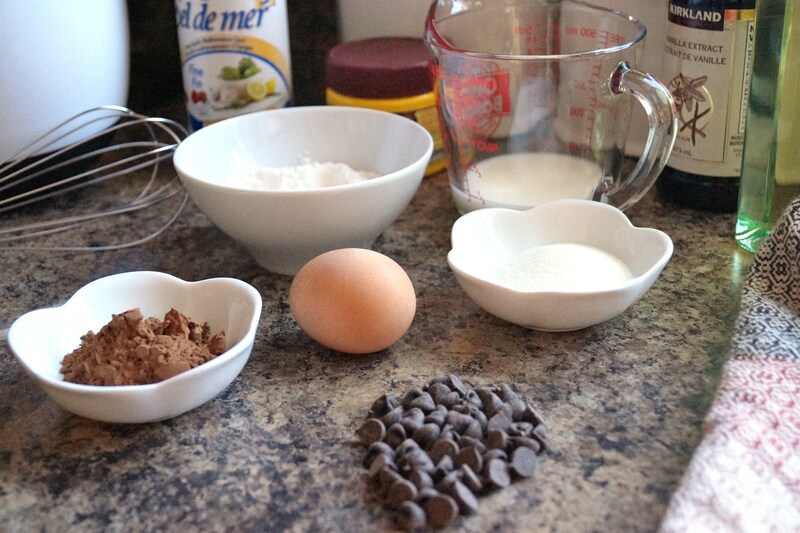 Pour the batter into the mugs over the chocolate chips. Microwave on high for 90 seconds. Check to see if the top springs back lightly when touched, if not, zap for another 20-30 seconds. Don’t be alarmed to see the cake rising almost twice as high as the mug, it immediately settles back down when the microwave turns off. Scarf down immediately. Makes one selfish serving. Oh, and the chocolate chips in the bottom of the mug act as icing as they get all gooey and yummy under the cake in the bottom. This post is an update on our bathroom reno. Technically, there really isn’t anything to *update* other than we are in possession of our building permit and have one wall framed. It isn’t for the lack of time or effort that we haven’t moved that quickly. We were waiting for the permit and my plumber to come back from vacation. 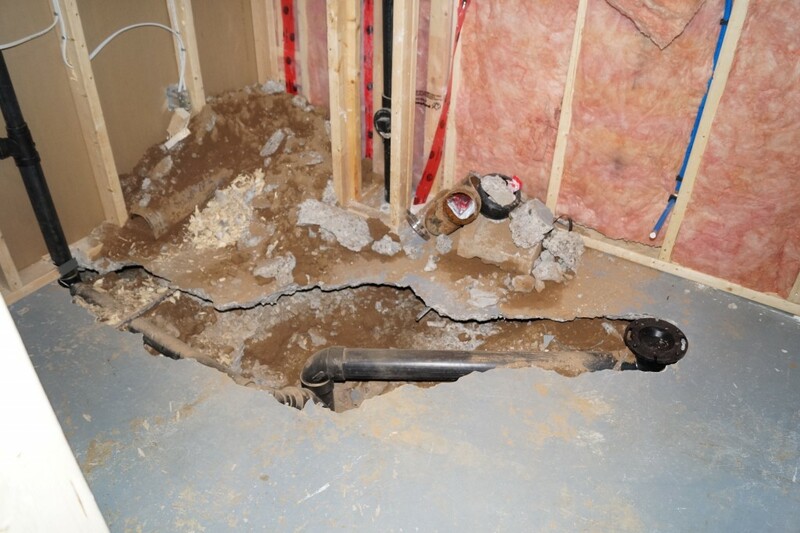 Now that he has returned from some sunny, hot place that I am jealous of, he can get to work busting open the basement floor to install new connections for the commode and sink. 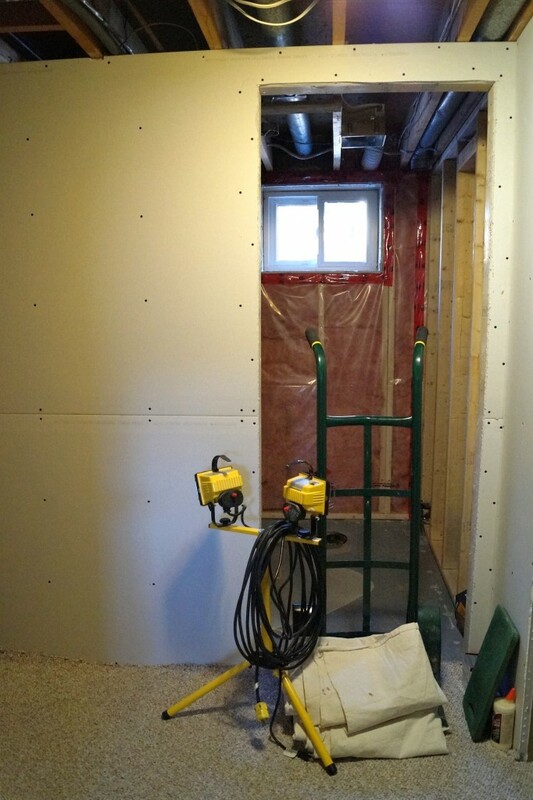 Afterwards, with the subsequent inspection and approval by the City, we are on to slapping drywall up and flinging mud and tape at the newly laid walls. From there, it is finishing touches of tiling, painting, installing the cabinet, sink and toilet and putting up the electrical fixtures. Speaking of fixtures, yesterday morning I headed to Home Depot to order stuff….which took me an hour. I can’t say as I have ever spent that long all at once in that type of store. I almost had the urge to put on a tool belt, declare myself a contractor and head to the power tool section to buy myself a reciprocating saw. If the tool belt had come in purple I would have. There are just so many details to look after when embarking on a reno project. Starting with what is the overall style/look you are going for and then sitting down for days in advance looking up hundreds of sinks and cabinetry options, taps and the ever important question “should we opt for a standard toilet or go with the Dual Flush Eco-Friendly option?”. Sidebar ~ Did you know that Home Depot has 3 toilets listed on their website that are over $2,000 EACH? Yes, you can buy a commode that says ‘my $hit is worth it’. Don’t ask me what it does extra for that price…I don’t want to know. If you don’t believe me, head to homedepot.ca and see for yourself. Anyway, back to my miniscule bathroom reno. So I ordered a bunch of stuff and it will be coming in the next 2 weeks or so. The cabinet/counter/sink combo thing is a Special Order that will take the longest to come in, but because we only want to have things delivered once, I ordered the drywall and toilet at the same time with all of it being delivered together. It will be known as a The Bathroom on a Truck. I just need to pickup my light fixtures and taps, then settle on floor tile. I had a peek at floor tile yesterday and unless I see something better in my travels, that will be *the* one. Or I could change my mind and hate it the next time I see it. After all, I am a woman and I am entitled to change my opinion now and then. Have you missed me? I know I have missed sitting down here writing out my thoughts but life just seems to be getting in the way of my writing these days. I will try to become a little more regular…emphasis being on the word ‘try’. Now I am sure you are asking.. “What the hell are WIP’s and FO’s?”. Well, WIP’s are “Work-In-Progress” and FO’s are “Finished Objects”. 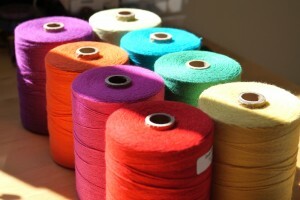 Acronyms of the fiber/craft world and I am sure many other pursuits either hobby related or career related. I have a lot of both going on right now. Actually, I think there are more WIP’s than FO’s happening in the household. From the commencement of the basement bathroom build, to de-cluttering (which has really consumed most of my time recently), knitting and of course…weaving. In between helping/cleaning up after hubby while he makes a mess in the basement, here is what I have been up to recently. In no apparent order either, just random works of art I like to think of them as. FO ~ My second set of woven tea towels. I had lots of fun playing with colour as is evident from each one. 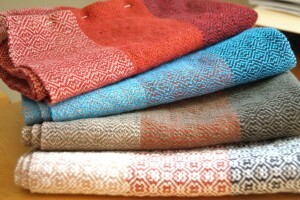 The warp threads were the same striped pattern, but by choosing a different weft thread, it clearly makes each one a unique individual. All that is left is to hem the ends, which is a perfect activity for after dinner while watching t.v. 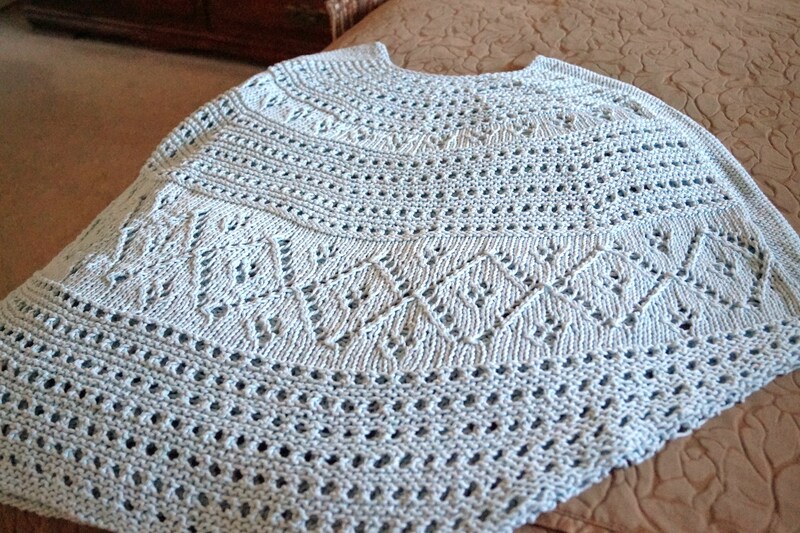 FO ~ Knitted Poncho for hubby’s cousin. 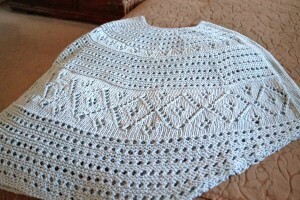 It is the same as my beige Mexican Travel poncho I made last summer. It is really stunning in the ice blue cotton yarn. I hope she likes it. WIP ~ Socks, yes, me, the sock hater (hate is a strong word, how about sock disliker?). I picked up a hank of gorgeous variegated Manos Del Uruguay yarn (which means Hands of Uruguay in Spanish) that has been delightful to work with. It doesn’t split or unwind itself and knits up smoothly with great stitch definition. I will definitely be keeping this type of yarn on my radar for future projects. 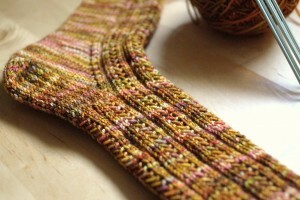 One sock is done and the other has just been started this morning. 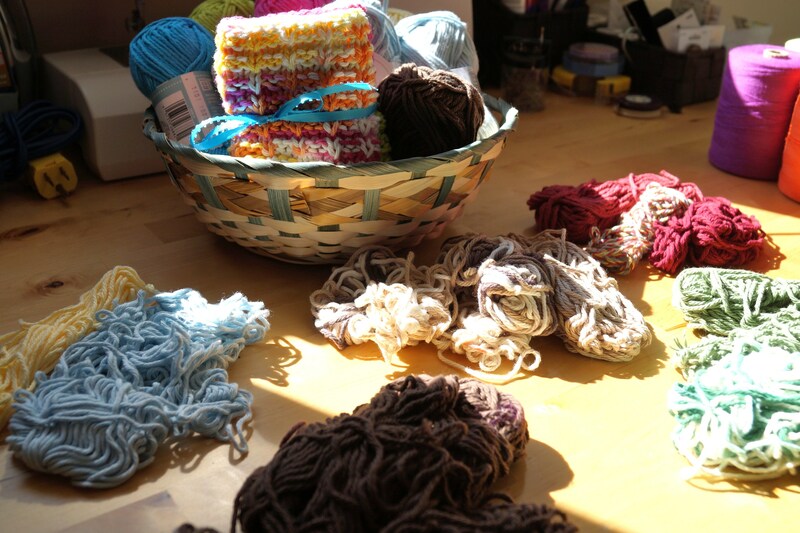 WIP ~ Knitted washcloths are fast and easy to knit up and make great gifts when paired with a hand-made, organic soap. One 50g ball makes one washcloth with a little leftover. So what to do with all the leftovers? I mix and match them into unique and colourful squares instead of wasting them. These washcloths are extremely durable and can be used in the kitchen, bathroom or laundry room. WIP ~ My Mexican Table Runner has been designed, yarn requirements calculated and I will be spending the next few days winding all these pretty colours onto the warping board in preparation for weaving. Stay tuned for further updates on this one, when the loom is *dressed*, I will post an update. Next week I will be embarking on my annual Spring ritual of SEED planting! YIPPEE! I am so very excited and all my little plant pots are ready to go along with a big bag of seed potting mix. Now Mother Nature needs to cooperate with some long, sunny days to get the little sprouts growing. That’s about it for now and I promise I will try and get myself back to regular posts. Meanwhile, there is another winter storm brewing in Southern Ontario that is going to give us more of the damn white stuff to shovel tomorrow. I am really hoping this is Old Man Winter’s last blast which will lead to warm, sunny Spring days to melt the epic amounts of snow we have received this winter. Stay safe over the next couple days and don’t venture out into it if you don’t need to. 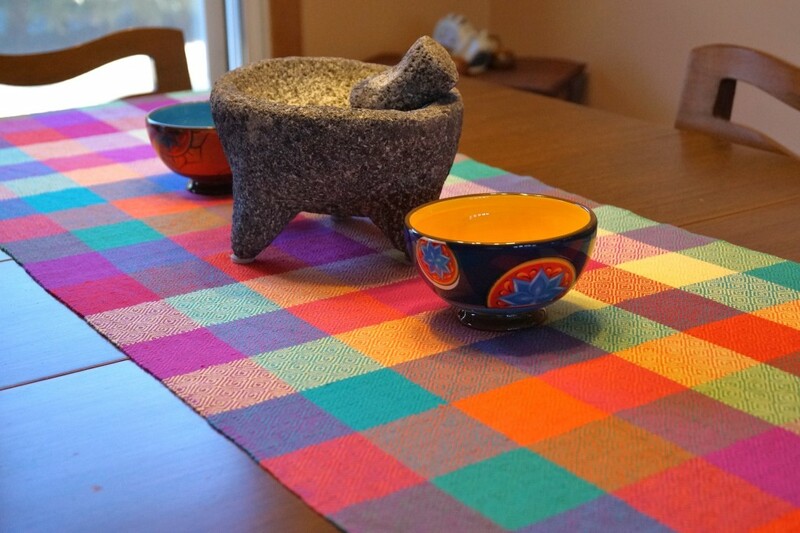 The other day I hosted a luncheon with some real estate associates and the theme was Mexican (what else?!). 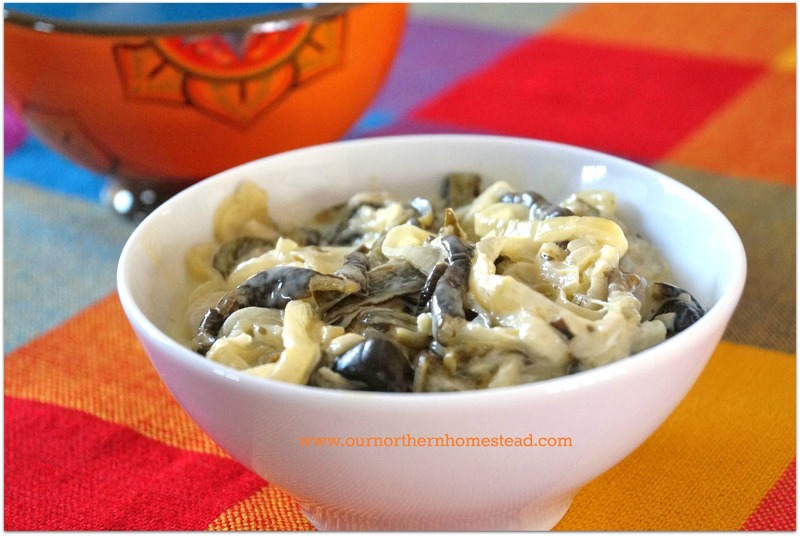 One of the side dishes featured was Rajas con Crema (Rajas is pronounced “Ra-Has”) which translates to “Strips with Cream”, a luscious Mexican side dish that doesn’t look very appetizing, but the flavour more than makes up for it. I first tasted this dish in Mexico when I attended a one day cooking class with a Mexican Chef at The Little Mexican Cooking School in Puerto Morelos a few years ago. It was a fantastic experience where I came away with such an appreciation for their cuisine that it only fueled my desire to delve deeper into it. Since then, I have spent the past couple years trying out different recipes and expanding my Mexican recipe collection. The following dish truly stands out with its bold flavours that contrast sharply to its simplicity in preparation. I will warn you that the dish does have some heat to it, not painfully spicy, just a nice little zing that gets your attention without having you diving for a fire extinguisher. On a foiled lined baking sheet, roast Poblano chiles in a 350°F oven until blackened all over (turning once during cooking time). Remove from oven and tent with foil to allow peppers to ‘steam’ for 15 minutes. Peel skins off and remove stems, seeds and membranes. Cut into thin strips lengthwise and set aside. Meanwhile; in a large skillet, heat olive oil over medium-low heat, add onions and garlic and saute slowly (do not brown) until onions are transparent. Add poblano strips and cook for about 2-3 minutes. Add cream and then season with salt and pepper. Cook for an additional 5-7 minutes. Remove from heat and serve immediately. Goes well with any grilled fish or chicken dish. Today is March 5th and the first day of Spring is 15 days off but apparently the ol’ grump is determined to hang around as long as possible, making us all in his path absolutely miserable. I was heading to bed last night and looked out the front window to see large, fat snowflakes falling silently in the glow of the street lamp. Early on in winter, I would have been happy to see the serene moment….not now though. I cursed loudly and grumbled my way up to bed. This morning I awoke to Mr. Cardinal singing in the cherry tree beside our bedroom window. I bet he wasn’t being cheery of hopefully-soon-to-arrive-Spring. 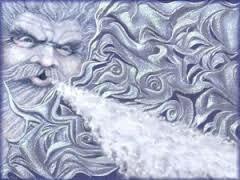 I bet he was cursing Ol’ Man Winter too. I peeked out the window to catch a flash of red before he flew off in search of his mate. I looked at the ground, another inch of fluffy white snow. ARGH!!! STOP IT! I CAN’T TAKE THIS CRAP ANYMORE! Dear Mother Nature, I can speak for everyone in the Northern Hemisphere…..please, please, beat Ol’ Man Winter into submission and bring on some warmth! Thank goodness I went on vacation in January to Mexico….if I hadn’t, I would surely be putting out a contract on Ol’ Man Winter myself.